Through the state-of-the-art research, it was possible to understand the existing VET offers and market needs via the analysis of enterprises’ facilities and the professional education and training offers from four different European EU Member States: Belgium, Italy, Lithuania and Portugal. Concerning VET provisions, the research applied in Belgium showed that despite the interest in training (often paid by tourism offices of the main Belgian regions), VET providers don’t tackle that subject in their (very scarce) training courses on tourism. In Italy half of the VET organisations that implemented specific modules regarding the subject of “Accessible tourism” have encountered “lack of interest from the businesses to have personnel with these competencies”. The experience suggests, the problem is also that the standard contents for the courses do not offer enough flexibility. In Lithuania VET organisations don ́t have direct accessible tourism related topics. Nevertheless, training programme can be applied as continuous vocational training programmes or complement modules of the existing ones: social services, catering, room management, etc. The report makes clear that the TAD report should be a starting point for development of vocational education programme curricula on the topic of accessible tourism in Lithuania. In Portugal, several Training Units are dedicated to accessible Tourism and they can be inspirational to other countries and to the TAD Project. The introduction of a new professional profile in the national and/or regional frameworks in the involved countries is quite a complex and long procedure but it can vary per targets of the course and its length. However, although it is not impossible, it is in general terms very difficult to add new professional profiles to the ones already in the “official catalogue system” unless it is something decided by the Regional or National Governments. Download the full Report in PDF format from the right-hand panel. (158 pages, 2 MB). 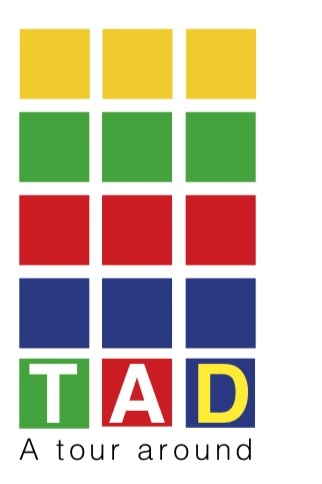 Visit the TAD project website.